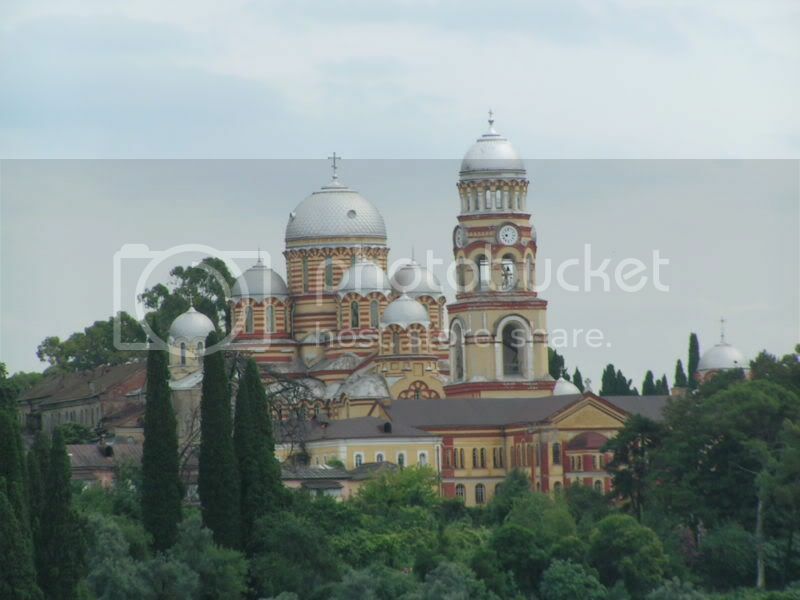 Armenians of Abkhazia have three Parliament members but not one church. Conversation with Diana Kerselyan, an Armenian from Abkhazia and its capital's councilmember. Abkhazia is largely unknown outside the former Soviet Union. The republic, which was a favorite summer destination for many in ex-USSR, is located on the eastern shore of the Black Sea, just north of Turkey. After defeating Georgian forces in a bloody year-long war (1992-93), Abkhazia became de-facto independent and linked to the rest of the world mostly through Russia. What is even less known, but sure to be of interest to our readers, is that Abkhazia's population has the largest proportion of ethnic Armenians of any other state entity outside the homeland. According to various estimates, Armenia’s share of Abkhazia’s population is between 20 and 30 percent. On April 11, our Washington Editor Emil Sanamyan spoke with Diana Kerselyan, who was in Washington along with other activists from Abkhazia's non-government organizations and their counterparts from Georgia, for a program funded by the U.S. Agency for International Development (USAID) and administered by World Learning. I am a native of Abkhazia, where I have lived all my life and where my great-grandparents were born as well. My family are Hamshen Armenians with roots in Ordu [in northeastern Turkey]. I work at the Sukhumi Media Club and last February I was elected to the Sukhumi City Council, where I represent several thousand residents of Abkhazia's capital. After graduating from the philology faculty at Abkhazia's State University, I have been involved for the past nine years with various non-government organizations, first those dealing with conflict resolution, and more recently with mass media. I am also a member of the Sukhumi Armenian community council. This is a very small, a very beautiful country, which lives in very complicated circumstances. Abkhazia remains a multi-ethnic republic. In the most recent presidential elections in 2004, the electorate (those over 18 years old), was estimate at 214,000, which would put the total population at about 270,000. Of these some 100,000 are ethnic Abkhaz, 80,000 are Armenians, 70,000 are Georgian and Megrelians and most of the rest are Russians, there are also Greeks and other smaller communities. The pre-war population was about half a million. Most Georgians have been forced to leave Abkhazia as a result the war, but since 1994 some 60,000 have been allowed to return to Abkhazia's eastern-most Gali district. A number of Abkhaz, Armenians and Russians have emigrated for economic reasons, mostly to Russia. Most Abkhaz are Orthodox Christians, although there is influence of pre-Christian traditions as well. There are also Muslim Abkhaz, mostly repatriates from Turkey. Editor’s note: Abkhazia population estimates vary widely. Abkhazia’s Foreign Ministry at http://www.mfaabkhazia.org has a figure of 340,000 for the total population. But figures from Abkhazia’s State Statistics Directorate’s 2005 publication “Abkhazia in numbers,” reportedly based on 2003 census and cited at http://www.ethno-kavkaz.narod.ru/rnabkhazia.html, estimate the total population at 216,000, including 95,000 Abkhaz, 45,000 Armenians, 42,000 Georgians, 4,000 Megrelians, 25,000 Russians and Ukrainians, 1,500 Greeks and others. What about Armenians living in Abkhazia? Majority of Abkhazia's Armenians trace their roots to Hamshen in Turkey's north-east. There is a strong sense of Armenian identity in Abkhazia, even though we speak a very distinct dialect of Western Armenian with heavy influence of Russian. For me it is easier to group our community into two categories: those living in the capital, Sukhumi, and other towns, and the rest of Abkhazia. Populations of our capital and other towns are mixed and quite integrated. Inter-ethnic relations in the towns are really different from those in rural areas, where most people live in ethnically separate, largely closed communities. In Sukhumi, there are no real inter-ethnic issues. There are a number of Armenian intellectuals, there are doctors and educators. There are a lot of inter-ethnic marriages with Armenians marrying Abkhaz, including my own marriage. This, by the way, was very rare before the war. And I have to say that this a good thing that helps prevent any sort of nationalistic tendencies. But due to economic difficulties many Armenians have left Abkhazia's towns. Sukhumi's Armenian population is now about 10,000. As a result, most of Abkhazia's Armenians today are the ones living in rural areas, working the land or engaged in small business. They live throughout Abkhazia, but especially in the central Gulripsh district. And they do experience some discomfort, being essentially outside the mainstream processes in Abkhazia. So, there are entire Armenian villages in Abkhazia? There are many of them and I can't really list all right now. They include the village of Mtsara in Abkhazia's west, the first village founded by Armenians from Turkey when they began to settle in Abkhazia in the 1880s, much of the Gulripsh district, Atara Armianskaia, Labra and Aragich in Ochamchira district. There were also many Armenians in Tsebelda. But because that village is located close to the Kodori Gorge [the only part of Abkhazia controlled by Georgia], much of the local population has been displaced due to occasional fighting. And do Abkhazia's Armenians have an organization that represents them? It's really tough to talk about any real institutions. At the time of the war, Albert Topalyan emerged as the leader of Abkhaz Armenians. He initiated the creation of the Armenian battalion that fought on the Abkhaz side. After the war Topalyan established the Krunk [Crane] organization that sought to represent Armenians. At the same time, Topalyan held a number of positions in the government, including that of Deputy Prime Minister. In my view, although Topalyan did earn certain credentials during the war, since then he has not really been involved in dealing with any of the community's problems, but he was backed by our government. He is now retired. There were other organizations, including the one in Gagra [in Abkhazia's west]. Some two to three years ago, we ventured to bring together all of Armenian organizations into one entity with three co-chairs. They include Galust Trapezonyan, a war hero and former Parliament member, head of the Gagra organization Khachik Minasyan and Sukhumi University professor Marietta Topchyan (she is also my aunt). Institutionally, the community is very weak. There are very few people locally who can support it financially. We tried membership dues, but that did not work. The few things that we try to do are on the volunteer basis. There is opposition within the community led by the former Sukhumi Armenian school director Albert Hovsepyan. This opposition criticizes the current leadership for not doing enough, but the reality is that resources are quite limited. This opposition has close relations with the current government of Abkhazia of President Sergei Bagapsh, with Hovsepyan selected as Vice-Speaker of Parliament, and, in effect, it blocks our attempts to win any support from the more affluent Armenian communities in Russia. Editor’s note: There was a tense contest to succeed Abkhazia's former President Vladislav Ardzinba who led Abkhazia from 1992 to 2004. Sergei Bagapsh eventually prevailed over Ardzinba-backed Raul Hajimba who settled for the mostly ceremonial post of vice-president. :Reporter : So this division in the community, is it in part a result of the most recent election? During that election I was a member of the League of Citizens for Honest Elections, which was not aligned with either camp. My aunt, the Sukhumi community leader Marietta Topchian took a similar position. Our view was and is that such a neutral position is the only one that Armenians in Abkhazia can afford and that we can not let our community's votes be manipulated in the political process. We suggested that our community issue a statement in support of honest elections, in which each citizen is free to vote in accordance with his or her personal convictions independent of their ethnic origin. In every election cycle in Abkhazia there has been an effort to manipulate the Armenian vote, since our vote can be quite decisive for the election's outcome. But it is my strong conviction that for the sake of its own welfare the community should not wholly side with one or another political camp in Abkhazia. But the Hovsepyan-led opposition within the community was allied with Bagapsh from early on, presenting our essentially neutral position as allied with the other camp. That has led to many recriminations within our community that continue to this day. How many of Abkhazia's Parliament members are of Armenian origin? In the Parliament elected in March, there are three (including Vice-Speaker Hovsepyan) out of 35 total members. The other two are Sergei Matosyan from Gulripsh and Valeriy Mairamian from Gagra. In the last election the community did try to increase that number but that did not work. In Parliament, there are also three ethnic Russians and two ethnic Georgians, representing the Gali region. There is this informal system of quotas. Certain electoral districts have been traditionally represented by individuals of a certain ethnicity. We have tried to raise this issue. I think there should either be a legal basis for such quotas, so that there are no misunderstandings, or that system should be done away with and voters in every district should be able to elect whomever they decide. In the last Parliamentary election, President Bagapsh even publicly suggested that Abkhaz should not try to run in majority non-Abkhaz districts. But in reality that did not really work. While in principle I would prefer not to have any quotas, today that may be the only practical solution. So Armenians, Russians and Georgians, relative to the size of their communities in Abkhazia, are underrepresented? You know, due to their history, Abkhaz have developed real sensitivity to this issue. Following the mass Abkhaz emigration to the Ottoman Empire in the 19th century and especially since Abkhazia was incorporated into Georgia [in 1931], Abkhaz have not comprised a majority within Abkhazia. And now, when they finally won their independence from Georgia, they are trying to preserve their [dominant] position within Abkhazia. In a way, I can understand their concerns. There are many of us Armenians around the world, but there are really few Abkhaz. And they are trying to survive, trying to maintain their unique culture. And with financial constraints, there is not even enough money to develop and publish Abkhaz textbooks. Prior to the war, there were only a few token Abkhaz school, but in reality these were Russian school with some focus on Abkhaz history and language. The conflict with Georgia remains legally unresolved. How's Georgia treating Abkhazia now? Well, there are no direct relations and there are not even negotiations on government level at this time. There are some civil society efforts, such as the one in which I am participating. At the same time, there are persistent tensions and even occasional violence in the Kodori Gorge and the Gali district. There are various provocations there with Georgia pressuring local ethnic Georgians to boycott Abkhazia elections. There is the overall Georgian effort to build up their military and to advertise that, and their President Mikhail Saakashvili regularly promises to re-gain control over Abkhazia. But in addition, there is an effort to woo in Abkhazia, including the Armenians of Abkhazia. They offer us Georgian passports and various financial incentives. But we can not just sell out like that. We fought for an idea, for independence, and we remain true to that. There is not enough money in the world to compensate for the loss of our loved ones in that war. They do not seem to understand that. But can it be said that another war is unlikely? I can not really say that because the current Georgian leadership's rhetoric and policies have been quite contradictory. So, I do not really know what to expect from them and can not rule anything out. In South Ossetia [the other breakaway former Georgian autonomy] the Georgian government is trying to set up an alternative pro-Georgian government and is pouring money into that. Depending on results there, they could try to replicate some of that in Abkhazia too. With its international status unresolved, how is Abkhazia coping and how important is Russia in that? The U.S. government is supporting Georgia in their efforts, and, to a lesser extent, Europeans do as well. As a result, our only viable option at this time is to maintain and develop closer relations with Russia, creating a kind of an associated relationship. There are also informal trade ties with Turkey, with cargo vessels going across the Black Sea. But Russia is of course much more important. 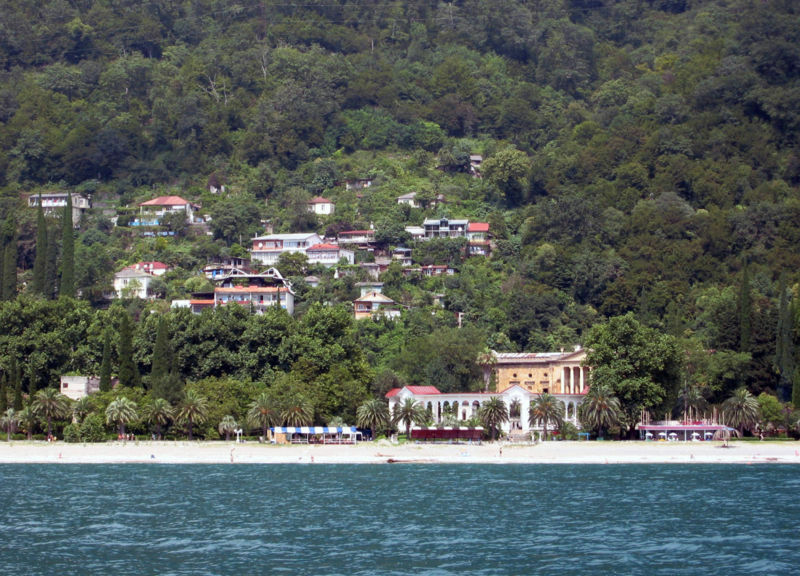 In recent years, the Russian government has lifted many of the past restrictions on Abkhazia. For some years now, we have been able to apply and receive Russian passports to be able to travel abroad. In the last couple of years we have been able to subscribe to Russian cellular service and we receive their television broadcasts. There is also regular train service between Sukhumi and Russia. Is Abkhazia in a sense getting used to being part of Russia? Not at all. There is a national idea in Abkhazia — one of independence. And even if there was an effort from within Abkhazia to lobby for some kind of a formal union with Russia, I think that would create a strong backlash and reaction within Abkhazia. We realize that Russia has its own interests. There is civil society in Abkhazia that seeks to build our democracy and try to develop relations with Europeans as well. Editor’s note: Armenia is only a couple of hours away from Abkhazia, via train to the Russian Black Sea town of Sochi, where there is also a large Armenian community, and a plane flight from there. Yet, Armenia has been careful not to engage Abkhazia not to antagonize Georgia. Does Armenia have any formal presence in Abkhazia? No, not at all. Armenia had provided textbooks for Armenian schools in Abkhazia. But that was some years ago and since then there has not been any measurable assistance or presence by Armenia. How do you follow events in Armenia? I personally have close family in Armenia and try to visit regularly. But few Armenians in Abkhazia do have such connections, so for them most of the news they get comes from Russian television. There is also a weekly publication called Hamshen put together by Artavazd Saretsian, who pulls various Armenian-related news stories off the internet and compiles a digest. This is purely volunteer effort of course. You mentioned there are some informal relations with Turkey, how have these developed? These relations exist primarily because of the large Abkhaz community in Turkey. A number of them came to Abkhazia to fight during the war and some have repatriated since then. In the last election, for the first time, two repatriates from Turkey were elected to Parliament. There are some private business investments by these repatriates. Has that Turkish presence had any repercussions for Armenians in Abkhazia? Well, not in any negative way. First, we do not perceive these repatriates as Turks. They are Abkhaz from Turkey. In many ways we went through similar historical circumstances, having been displaced from our respective homelands. So that, in a way, creates ground for better mutual understanding. As a community, we hold annual commemoration of the Genocide on April 24 and Abkhaz officials attend them. If there is one issue that you wanted to headline this interview, what would it be? You know, we have not a single Armenian Church in Abkhazia. There was an effort to build a church shortly before World War I, but it was not completed. So, whenever, we are asked about our problems, we always mention this fact that we do not have a church.